A good portion of new lactose-free products also are dairy-free, but eliminating dairy doesn’t have to be the solution. As explained by Dietitian, Amy Goodson, the nutrition, taste and functionality of dairy is hard to match with alternatives to dairy. In her Dairy Good article, Amy gives consumers ways to reduce lactose in their diets while still benefiting from clean and nourishing dairy. Why is lactose-free so popular? Online resources and diverse societies are raising awareness of lactose intolerant symptoms and health effects. Whether consumers are diagnosed or self-assessed, they are reconfiguring their diets to avoid lactose. However, lactose is a natural sugar that has little-to-no effect on consumers who are not lactose intolerant. Avoiding lactose isn’t advantageous if the body has no issues digesting the nutrient. 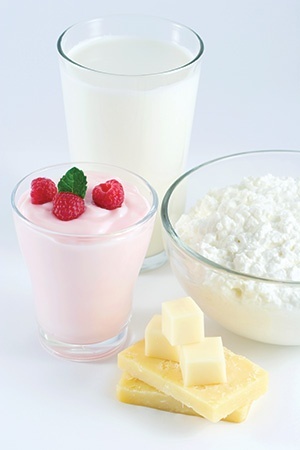 Food and beverage formulators can produce reduced-lactose products without eliminating or avoiding dairy. Many cheeses and dairy ingredients have little to no lactose. If they do contain higher levels, there are a variety of ways to reduce the lactose during formulation. Consumers can then still benefit from the vitamins and health characteristics of dairy. Sports nutrition is the second most active category for lactose free development, behind dairy applications. Approximately 5.5% of sports nutrition product launches in 2015 featured lactose-free claims. That is a 39% increase from 2014.1 To not lose the essential recovery, satiety and nutrition benefits, sports nutrition formulators are staying on-trend, eliminating lactose while still including high-quality whey protein. Dairy ingredients offer nutrients that are hard to match with dairy alternatives and dairy-free foods. Using dairy ingredients does not mean sacrificing consumer-desired free-from claims, including lactose-free. There are many solutions to fitting dairy ingredients to your formulation needs and marketable claims. Click here to learn more and explore your ingredient and product offerings. 1Innova Market Insights. Briefing Series. Lactose Free: Varied Approaches to Formulation and Positioning. October 2016. Accessed on August 22, 2017.